More Members of the Germination Corps. 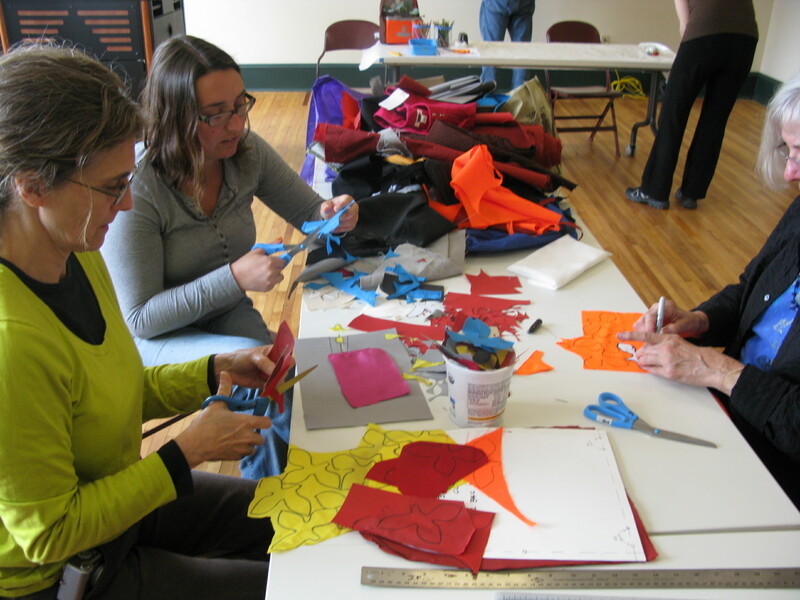 This past weekend, we were at the Yancy County Library, holding a making event, a little teach-in and build of some plant backpacks and shoulder bags. 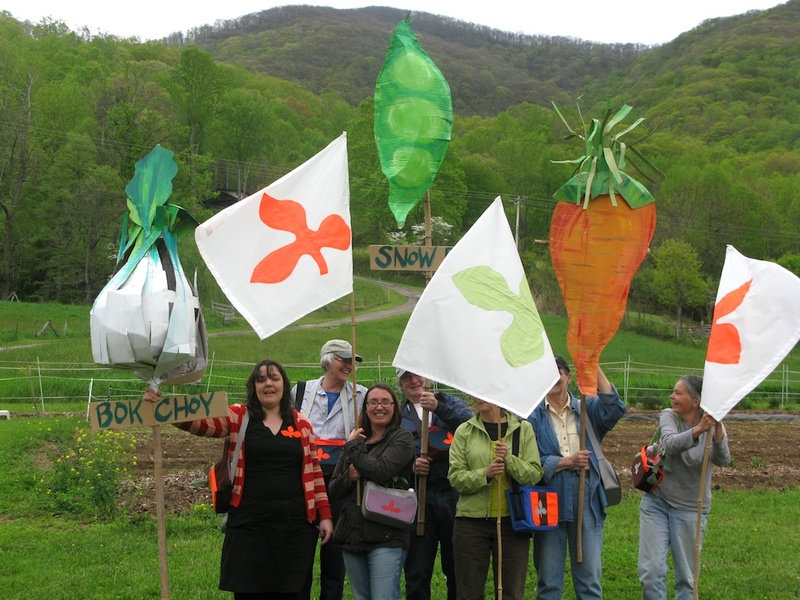 Last Friday we had some great helpers at the Collaboaratory making giant vegetables for our Plant Backpack parades. This is Emily, below, a graduate of University of Michigan, School of Art and Design. She moved down to Asheville after she graduated, and drove out to help paint a giant carrot. It was a super day at the gallery! 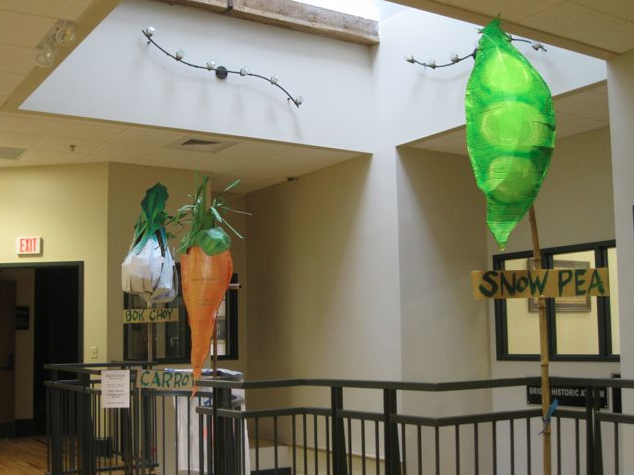 Next, we took the giant vegetables to the Yancy County Library to dress up their stairwell and lead visitors to the making workshop that we help last Saturday. Many people showed up to make a Plant Backpack. 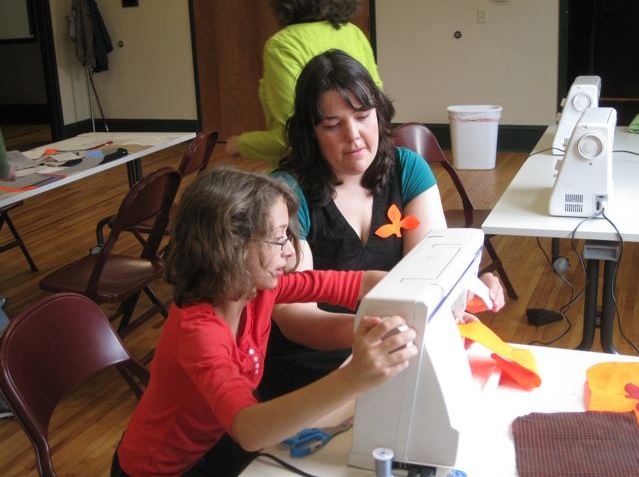 This great member of Germindation Corps., Mira, had never sewn before she came into the Library last weekend. She is now an accomplished bag maker. She planted a pepper and a cabbage her bag, and got a water bottle to hydrate herself and water her plant. These ladies were from the local 4-H group and they run a radio show on the local radio station too! People are great! Here is another volunteer from the Dig In! 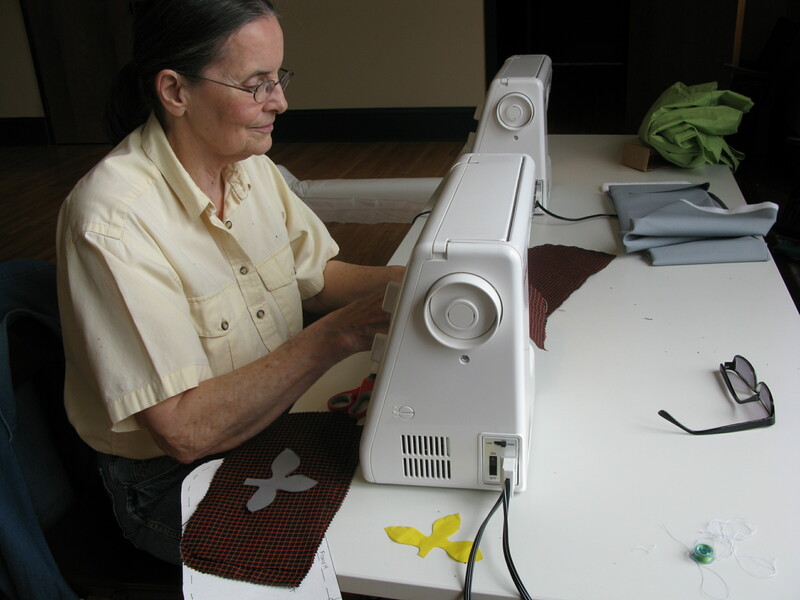 Yancy garden, making a few bag fronts. Cutting out the all-important 3 leafed sprout of the Germination Corps. 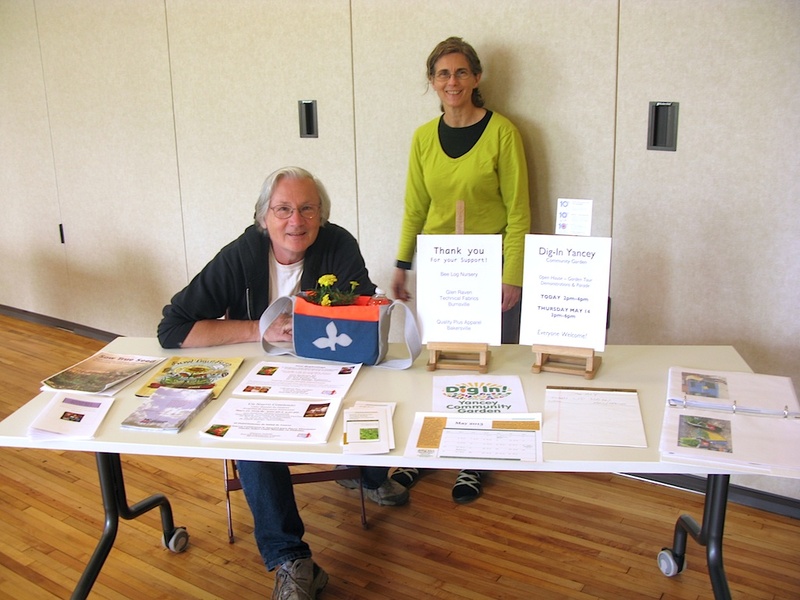 John Hartom and Lisa Blackburn head up the information table and told people about the project as well as spread word of their garden, Dig In! Yancy Community Garden and project Empty Bowls that has really taken off as a way to raise money for feed people in the community. 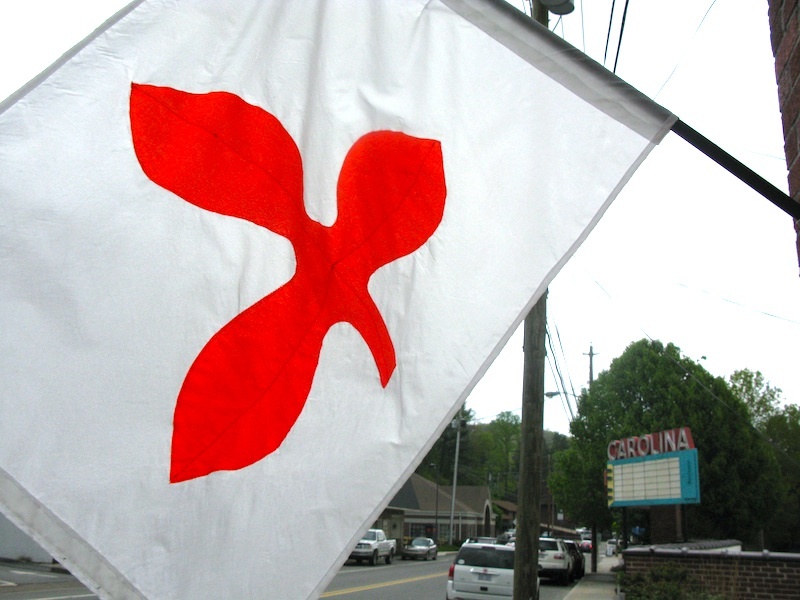 It has been great to grow the project with them and bring The Germination Corps. to Yancy and Mitchel Counties to spread the word of food sharing, food security and sustainable growing to feed the community. The larger parade seemed to get rained out at the garden, but we persevered with our own mini parade. This entry was posted in Making, Performing, See it! and tagged backpack, Dig In, Germination, School of Art and Design, sewing planting, University of Michigan, Volunteers, Yancy County Library. Bookmark the permalink. ← got brand new bags! paperhelmets on got brand new bags! 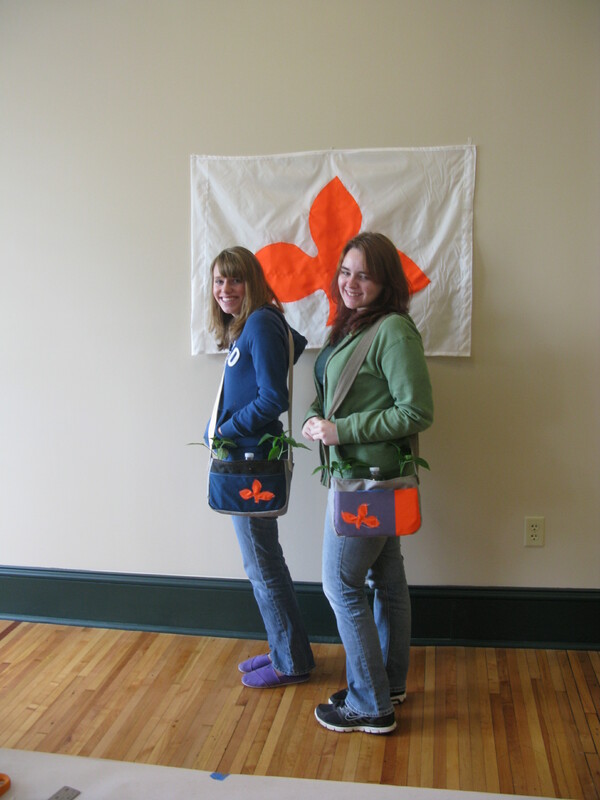 The Glen Raven Team on got brand new bags!